In today’s rapidly-changing print industry, executives need to connect with their peers to discuss solutions to common challenges. That’s what WFX: Wide-Format Exchange is all about. Three days of networking, educational seminars, thought-provoking keynote speakers and idea exchange — all designed specifically for top executives from high-volume, wide-format print providers and other printers poised to add wide-format inkjet printing to their businesses. 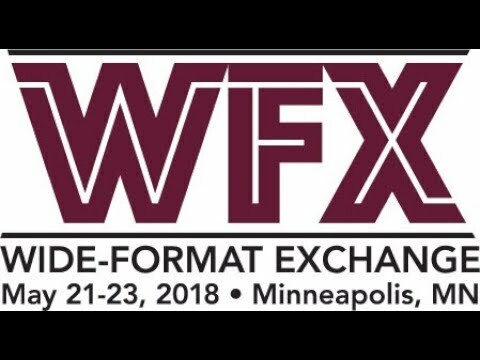 WFX: Wide-Format Exchange is designed to give attendees 20/20 vision for the future of print. You will walk away holding a crystal ball to see into the future of your business. With all of the market forces at work in our industry today, the world is changing rapidly. It's not just print technologies that are advancing at the speed of light -- it's business technologies as well. WFX will provide you a clear vision for tomorrow. Sign up to register for WFX!